In order to upgrade MySQL version from WHM panel, you have to login as root in your WHM and type in the search bar: MySQL. 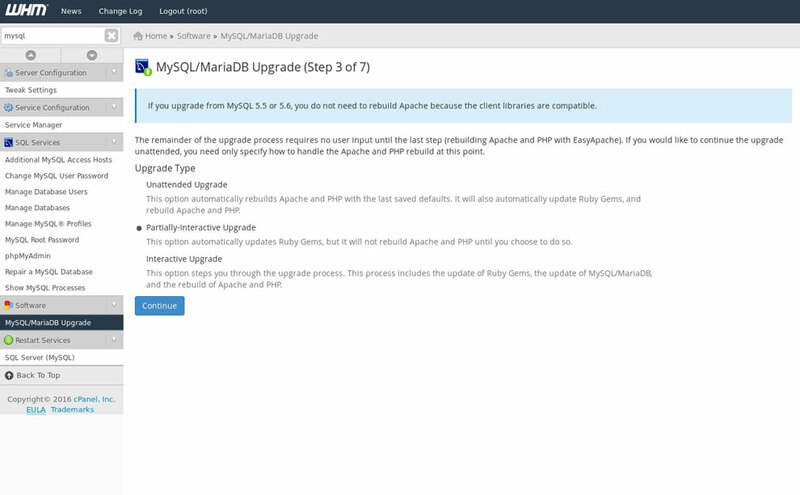 You will see MySQL Upgrade in the Software section. 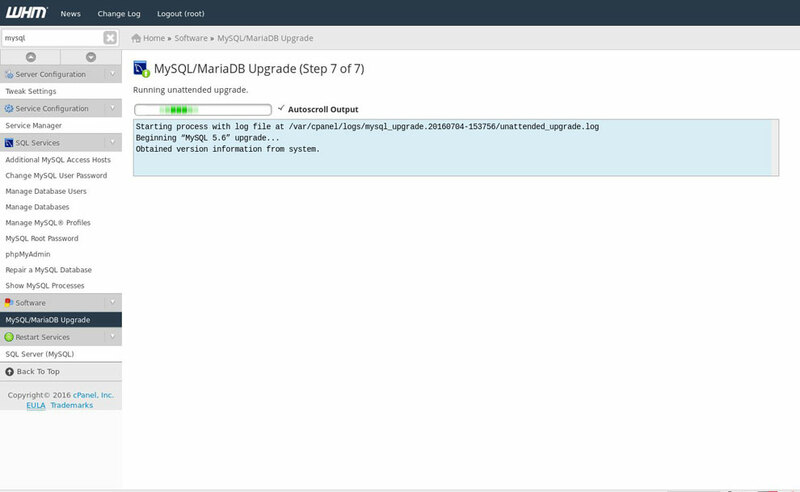 After you click on this tab you will be able to review the current version of the MySQL and select the next version, which is available to upgrade. 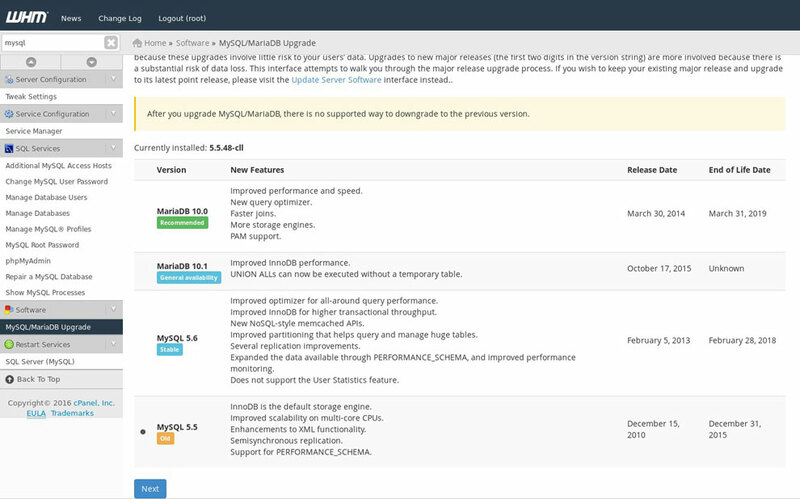 In the screenshot below for example, you can see that the current database version – 5.5 – can be upgraded to 5.6. 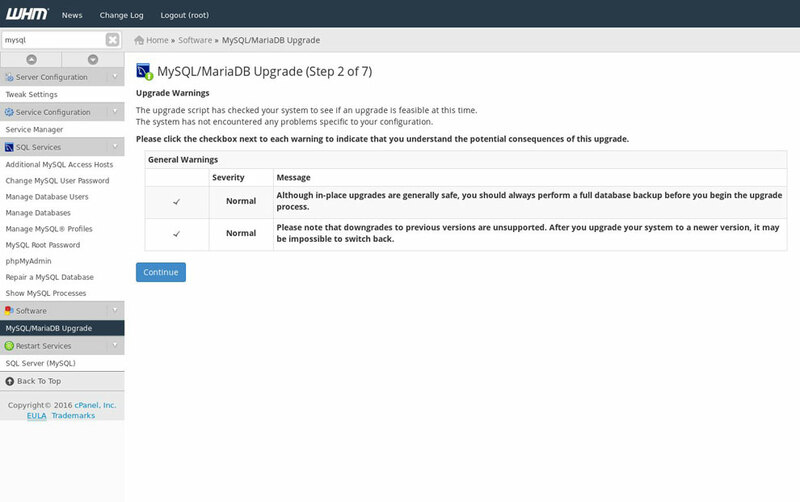 The screen lists all the important features in the latest version giving you an overview that should help you decide if upgrading the database is worthwhile or not. You should click "Next"
The next step is information about the upgrade of apache and PHP. Not all MySQL upgrades require them to be rebuilt. 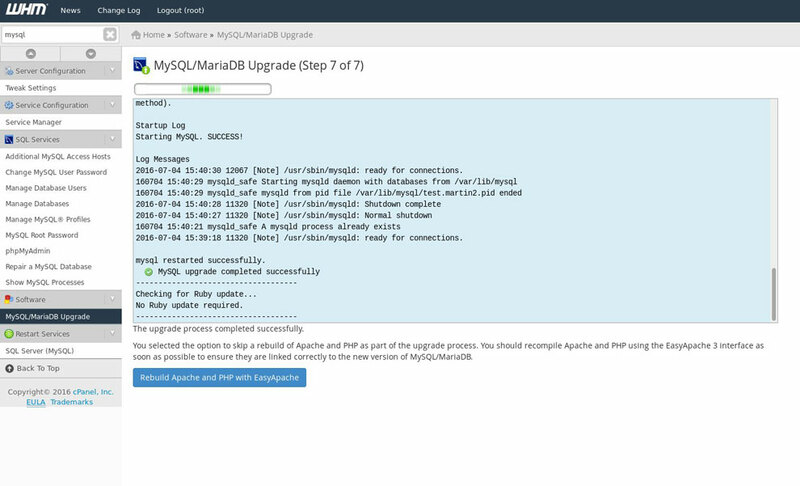 In this test example, the system recommends a partial upgrade without an Apache/PHP rebuild - If you upgrade from MySQL 5.5 or 5.6, you do not need to rebuild Apache because the client libraries are compatible. Once you have choose the proper option for you, you should click on continue and the process will begin. This can take quite a while. All the while, you can check the output in the box below to see the progress.